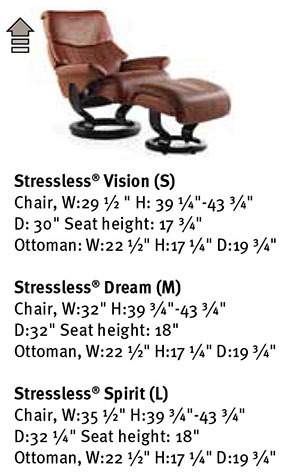 Ekornes Stressless Vision Dream Spirit Recliner Chair Lounger - Ekornes Stressless Vision Dream Spirit Recliners, Stressless Chairs, Stressless Sofas and other Ergonomic Furniture. 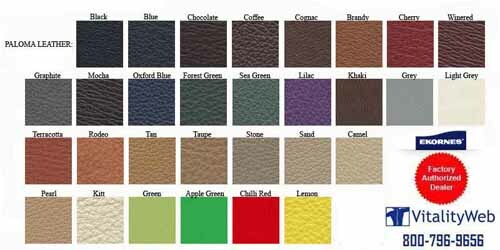 Stocking Colors for Quick Shipping are Black, Chocolate, Kitt, Light Grey and Sand Paloma Leather. 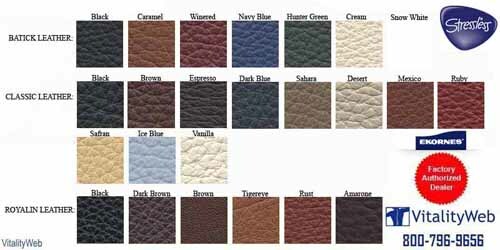 TigerEye Royalin Leather as well as Tan and Passion Cori Leather. 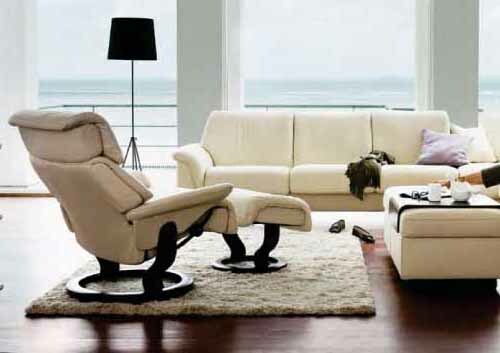 Matching Sofas: Stressless Paradise Sofas. 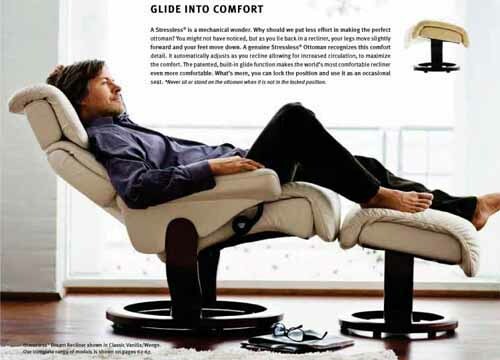 Stressless Dream in Classsic Vanilla Leather with a Wenge Wood Finish.